With PALTAN, J. P. Dutta completes his trilogy of war movies post BORDER (1997) and LOC KARGIL (2003), coming up with a film which thankfully is not as shoddy as it seemed to be from its poor trailers and songs. The director happens to be one of my most favourites since his first venture GHULAMI (1985) and the one who presented Rajasthan like nobody else on the screen, before or after him since the mid-80s. Luckily I watched PALTAN in the same single screen theater MILAN in New Delhi, where we had witnessed the euphoria for his GHULAMI as well as BORDER along with the disappointing LOC. 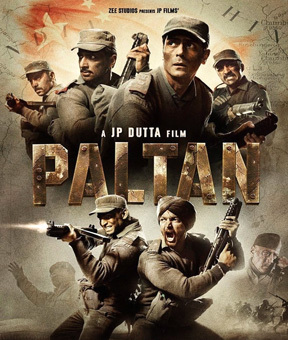 Based on true events of 1965 at Nathu La Paas, at the line of control of India and China, PALTAN enlightens us about the particular important corridor between India and Tibet, the backdrop of Rajput battalion attacked by the Chinese causing a serious damage and then the braveheart soldiers of Indian Army winning a skirmish against the Chinese troops taking their timely revenge. So the film strongly works on the information level for sure, since not many are aware of the exact happenings of those times at the border between the two countries. Secondly PALTAN decently manages to work, since it is not as weak as conveyed by its unexciting promos. So the least expectation factor actually goes in its favour and against all the predictions. Thirdly the film’s cinematography also makes a very fine impression capturing the proceedings at the actual real life locations and finally the well-shot war-sequences certainly have an impact, which doesn’t allow you to leave the theater with any feeling of a big disappointment. Yes, it isn’t any great or outstanding film both in terms of execution or performances to be very fair. But at the same time it isn’t anything that can be simply rejected like any B or C grade film giving you the real picture. PALTAN begins on a sad note wherein news of martyred soldiers is being respectfully conveyed to their relatives in different states and then keeps moving at almost the same pace throughout without any major high or low till the explosive climax. And its this monotonous and predictable structure only, which becomes its biggest negative feature resulting in a strictly average product. In other words, what doesn’t work in PALTAN is the same old fixed pattern followed by the director with the major part of the film getting lost in the routine build-up, personal stories, interactions between the soldiers remembering their beloveds, a few typical songs in the first half, and then the final 30 minutes devoted to the war, brutal attacks, causalities, back-up coming in the nick of time, followed by a thoughtful Sonu Nigam track composed by Anu Malik and penned by Javed Akhtar (exactly like the format seen in his cult BORDER). In the performance department though everyone tries his (or her) best playing the assigned role but you don’t get any particular act to take back home or which manages to somehow stay in your mind after the end credits. A mix of experienced and over-enthusiastic fresh cast sadly pulls down the film which actually required a much better ensemble including some well-known names. Besides, what majorly affects the film is its childish portrayal of the enemy who never seem to be better than caricatures standing across the border saying ‘Hindi-Cheeni Bhai Bhai’. Any kind of combat on screen can never work if the opponent is made to look comic, silly or unworthy of putting up a difficult fight. In fact that’s exactly where BORDER excelled in its execution, since in there, Dutta even gave dialogues to the Pakistani opponents, which eventually helped in building the anger leading to a spirited verbal interaction and then a powerful explosion. Unfortunately, PALTAN doesn’t offer any such kind of blood-pumping entertainment and thus lacks the conviction essentially required in a War film. Moreover the soundtrack doesn’t help (with all forgettable tracks) and some strange insertions never allow it to rise above a mediocre level, for instance the repeated use of English idioms in the dialogues, whereas BORDER had some splendid insertions of impressive Urdu couplets. In all, this PALTAN would have been entirely different with a much impressive star-cast, a better depiction of the enemy and some well-written provoking dialogues in the present scenario of on-your-sleeve patriotism hitting the nail at the head. 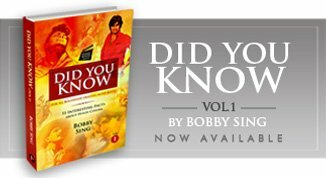 The presence of actors like Sunny Deol, Puneet Issar and more could have unarguably lifted the film even if it was made on the same Dutta template like BORDER. For a moment, just imagine Deol or Issar confronting the short statured, cunning Chinese Chief like a giant standing in front of a timid opponent. God knows how many potential films we will lose to these unnecessary ego-clashes and wrong advices given to our beloved stars. In the end, if not as an energized, spirit-booster, PALTAN can surely be seen as an informative film remembering the past, saluting the martyrs and the soldiers safeguarding our freedom at the borders. So even if not in the theaters, do try to catch it with minimum expectations, when it soon gets released on the online portals.